A metal accent here. An embellishment there. 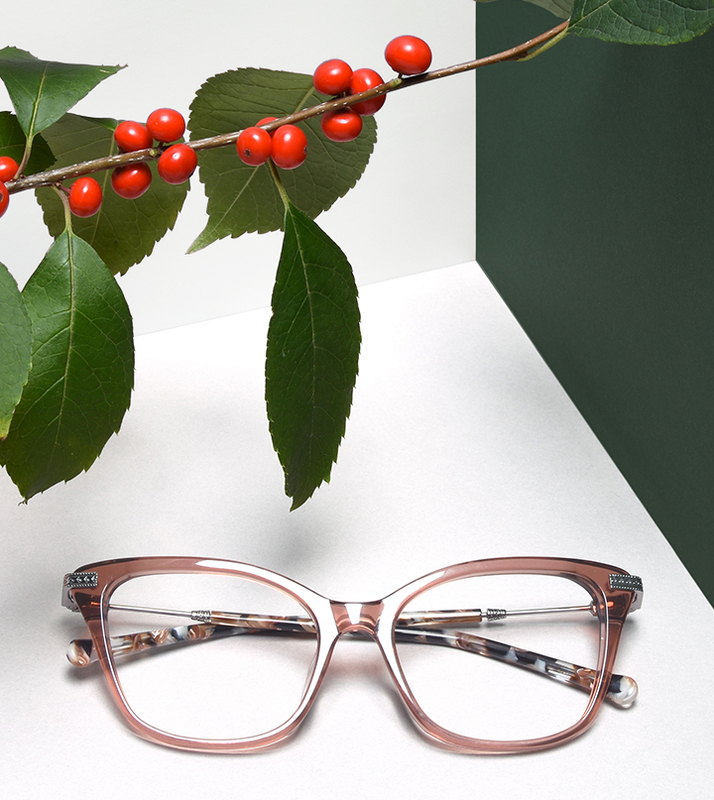 For this collection, the spirit of the holidays is captured in every intricate detail. Patterns and textures are artfully woven into the metal temples, evocative of extravagant holiday décor. Get in touch with your softer side in Pink Quartz and Golden Truffle or stand out in Onyx Marble and Golden Chip. Think your party look is missing…something? Go for glam in this holiday collection. 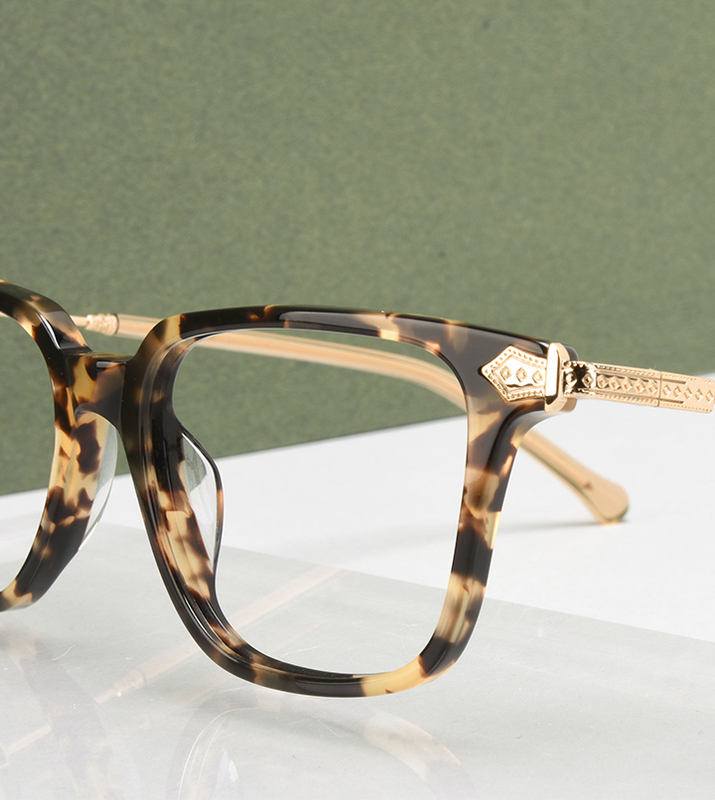 Cat eye frames like Bow and Stargaze add a little drama while Twinkle and Gem’s oversized frames put the finishing touch on any day or evening ensemble.